(1953, aka WILD WOMEN) Lewis Wilson, Frances Dubay, Dana Wilson. 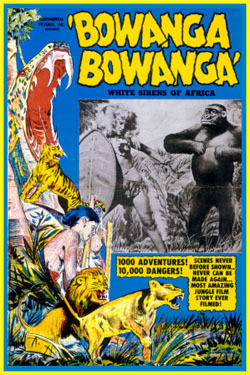 Don't miss this exciting schlocker about a safari of white men captured by a savage tribe of white jungle sirens. This film is total hilarity! Pure camp and easy to enjoy for its unbelievable badness from start to finish. Wilson was the screens first Batman, back in the 1940s. 35mm.